Russian politician and Putin ally Alexander Torshin is wanted as a mobster money launderer in Spain. 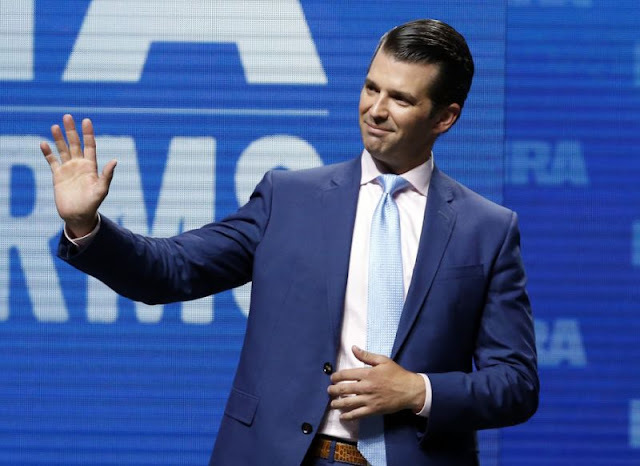 VietPress USA (May 25, 2018): The Spanish Police wiretapped the conversations of Alexander Torshin, a deputy governor of Russia’s Central Bank who has forged close ties with U.S. lawmakers and the National Rifle Association, that led to a meeting with Donald Trump Jr. during the gun lobby’s annual convention in Louisville, Ky., in May 2016. José Grinda, who has spearheaded investigations into Spanish organized crime, said that bureau officials in recent months requested and were provided transcripts of wiretapped conversations between Torshin and Alexander Romanov, a convicted Russian money launderer. “Just a few months ago, the wiretaps of these telephone conversations were given to the FBI,” Grinda said. An NRA lawyer, in responses to Wyden, said that Torshin has only paid his membership dues to the group and that, based on an internal review, the NRA received a total of only $2,500 from about 23 Russia-linked contributors since 2015. However, the NRA is now reviewing its relationship with Torshin in light of the Treasury Department blacklisting him last month. “Based on Mr. Torshin’s listing as a specially designated national as of April 6, we are currently reviewing our responsibilities with respect to him,” NRA general counsel Jon Frazer wrote to Wyden.